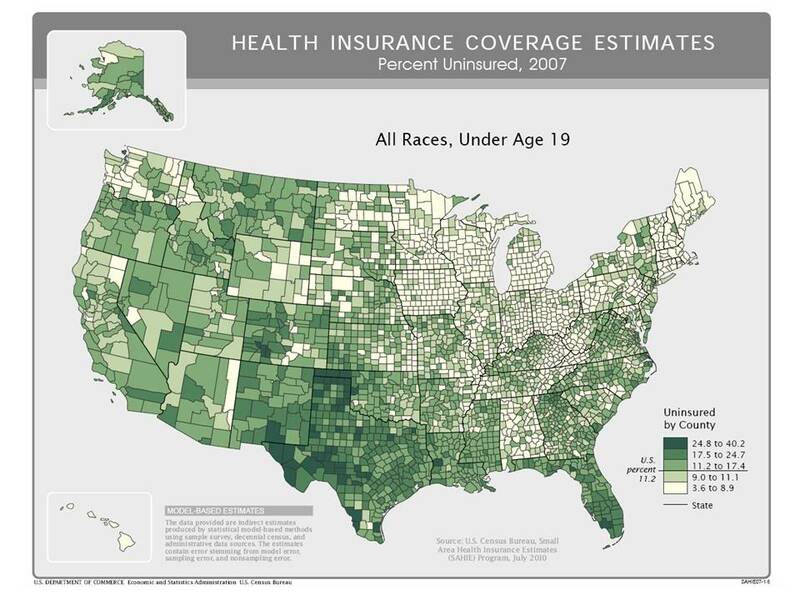 I suspect the numbers of uninsured have increased since that data in 2007, given the state of the economy. There have been several new state-by-state rankings released with newer data (this is the newest county-level data). I will find that and post the numbers, but Texas is still on the top (or bottom, if you will) of the list. The states with the highest average rate of uninsured people from 2006 to 2008 are Texas (24.9 percent), New Mexico (23.0 percent) and Florida (20.5 percent).